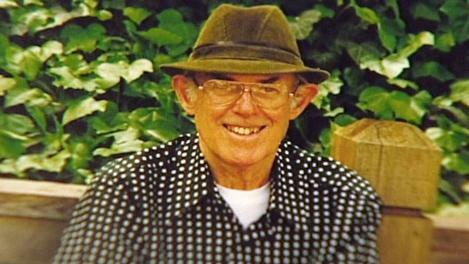 GRANBURY, Texas - An 82-year-old Hood County man mysteriously vanished two weeks ago. Now law enforcement officials and family members hope someone will come forward with answers. William Moore left his home in the Pecan Plantation subdivision near Granbury, southwest of Fort Worth, on March 10 and never returned. He likely spent the morning at his family’s airplane hanger. “He’d sit out there and smoke his pipe, read his paper and drink coffee,” said David Moore, his son. On the day he disappeared Moore was supposed to go to an auto parts store to pick up a special-order airplane part, but he never made it. The Hood County Sheriff’s Office has not issued a silver alert in the case because Moore does not have a history of mental or physical issues that might prevent him from returning home. But investigators are stumped because none of his credit cards or bank accounts have been used and his brown 1997 Dodge pickup truck is also missing. Hood County Sheriff Roger Deeds said that there still have been no sightings or clues in the case of 82-year-old William "Bill" Moore, who has been missing since he left his home on Air Park Drive in Pecan Plantation on the afternoon of March 10. Moore's chocolate brown 1997 Dodge Ram pickup had license plate number 68MFS6. Moore's identifying information is in a database of missing persons, accessible by law enforcement officers nationwide. Muffy, Is it always worded that way?.....does it mean ONLY accessible TO law enforcement nationwide or THROUGH LE nationwide? Mr. Moore and his truck have been missing for thirteen days now, and I'm not finding much in regard to it. I don't recall ever seeing an article worded like the Hood County News one. I had to dig around to find that article. Why wouldn't the paper go ahead and put any relevant and important information in the paper? It makes me wonder if he's been kidnapped. Many times, news articles will give information, and I see it repeated again and again in other articles, including physical description and other information. Getting that information out is important. Sometimes certain information is held if it might jeopardize an investigation, but there is so little information it makes me wonder. William "Bill" Moore, an 82-year-old resident of Air Park Drive in Pecan Plantation, has been missing since sometime after 2 p.m. Saturday, when he was last seen driving his 1997 brown Dodge pickup to a local autmotive parts store, according to Hood County Sheriff's Office Lieutenant Johnny Rose. on the afternoon of March 10. Moore's chocolate brown 1997 Dodge Ram pickup had license plate number 68MFS6. Moore is about 5 feet, 10 inches tall and weighs about 145 pounds. If you have information on Moore, call the Sheriff's Office at 817-579-3316. William "Bill" Moore William "Bill" Moore, an 82-year-old resident of Air Park Drive in Pecan Plantation, has been missing since sometime after 2 p.m. Saturday, when he was last seen driving his 1997 brown Dodge pickup to a local autmotive parts store, according to Hood County Sheriff's Office Lieutenant Johnny Rose. Moore has gray hair and brown eyes. No clothing description was available. The pickup's license plate is Texas 68MFS6. "Moore has not been diagnosed with mental or physical issues that would prevent him from returning to his home," Rose said. Where might this gentleman be? I don't know. I've had a difficult time finding much information about his disappearance. Tuesday afternoon marks exactly one month since 82-year-old Pecan Plantation resident William "Bill" Moore went missing after leaving his home on Air Park Drive in Pecan Plantation. Investigators still have found no clues in Moore's disappearance. Moore's chocolate brown 1997 Dodge Ram pickup had license plate number 68MFS6. I noticed last night several missing persons not listed on the GBI site. I guess when budgets need to be cut missing persons listings aren't as much a priority. Shame. Families are left getting the word out on their own. Does that mean it's only accessible to LE and not the general public? Or is it just odd wording? Why not include a link? Why not include more information? That's crazy. I totally don't understand a database for LE only. I don't know if it's a database for LE only, but that's the way it reads to me. William "Bill" Moore disappeared from his Hood County home one month ago. HOOD COUNTY — Authorities are renewing their call for help in finding 82-year-old William "Bill" Moore. He vanished from his Pecan Plantation community on March 10. Security cameras in the neighborhood captured his truck leaving that day, and an employee reports seeing him at a Wendy’s restaurant in Granbury. Family members said Moore was running an errand at the auto parts store that day, but never returned. He was driving a 1997 Dodge Ram pickup truck with red reflective tape covering the tailgate. Searches on the ground, in the air, and on the water have turned up nothing. Moore has no history of mental problems, and there’s been no activity on his bank account or credit cards. Page created in 6.383 seconds with 21 queries.